The Patriots have tendered receiver Josh Gordon a contract at the original round level, a source told Ben Volin of The Boston Globe (Twitter link). In a separate tweet, Volin reports the team has placed a tender at the second round level on cornerback Jonathan Jones. The last we heard from Gordon, he was considering applying for reinstatement by the league this spring. 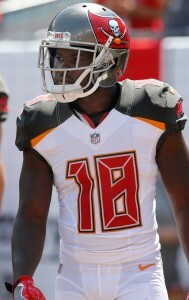 Gordon was traded from the Browns to the Patriots last season, and had some initial success before suddenly stepping away from the team. Shortly after, it was announced that the league was suspending him indefinitely for violating the terms of his previous reinstatement. Another report also said Gordon could be back by training camp, although that’s obviously far from a guarantee. Gordon has always been ultra-talented, but hasn’t been able to stay on the field. In 11 games with the Patriots last year, he caught 40 passes fro 720 yards and three touchdowns. The original round tender will pay Gordon $2.025MM in 2019, assuming he’s able to pay. Since he’s a former second round pick, the Patriots will get a second round pick in return if some other team decided to sign Gordon, which is very unlikely given the price. A team would also now have to give up a second round pick to sign Jones, which more or less ensures Jones will be back in New England next year. An undrafted free agent from Auburn back in 2016, Jones will make $3.095MM net year. Jones started five games last year and played around half of the team’s defensive snaps, while also contributing on special teams. The Patriots announced that they have re-signed punt returner Bernard Reedy. Reedy will be eligible to play in this weekend’s AFC title game against the Jaguars. The Pats will have to make a roster move in order to bring Reedy back into the fold. That will likely be accomplished by placing cornerback Jonathan Jones on IR. 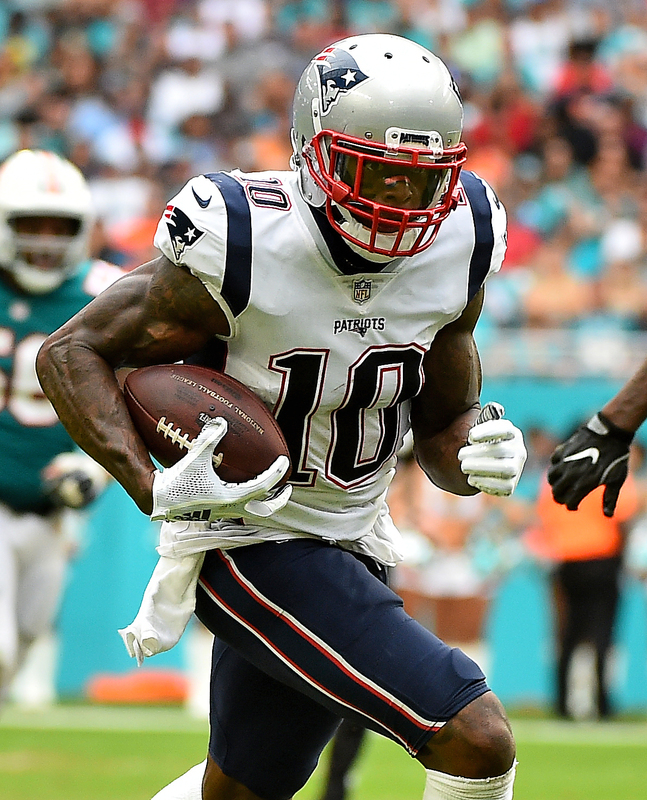 On Wednesday afternoon, New England opted against activating wide receiver Malcolm Mitchell from injured reserve, which cleared the way for Reedy to rejoin the team. Reedy, 26, spent 2017 with the Patriots and Bucs. In total, he returned 18 punts for 175 yards plus seven kickoffs for 145 yards. The Toledo product caught on with the Pats’ taxi squad in November after the Bucs ended his lengthy Tampa Bay stay. Despite being with the Bucs since the 2015 season, the former 2014 UDFA only saw live action in ’17. Eric Rowe isn’t necessarily a lock to serve as the Patriots’ No. 3 cornerback in 2017, suggests Mike Reiss of ESPN.com. Rather, it could be Jonathan Jones who emerges behind stars Stephon Gilmore and Malcolm Butler, as Reiss notes that the second-year man got first-team reps as the Patriots’ nickel corner during OTAs last week. With that in mind, Rowe’s playing time during the upcoming season might depend on matchups. At 6-foot-1 and 205 pounds, the Patriots could feature Rowe as their nickel corner against teams with multiple big receivers or clubs with tight ends who function as large wideouts, relays Reiss. That was the case in Super Bowl LI when the Pats put Rowe on the Falcons’ best receiver, the 6-3, 220-pound Julio Jones. Now-49er Kyle Juszczyk was more of a Swiss Army knife than a fullback for the Ravens, meaning it may take multiple players to replace him, writes Jeff Zrebiec of the Baltimore Sun. Running backs Lorenzo Taliaferro and Danny Woodhead, fullback Ricky Ortiz and tight end Nick Boyle could try to make up for Juszczyk’s departure as a group. The versatile Juszczyk parlayed his time in Baltimore as a lead blocker/pass catcher/special teamer into a record contract for a fullback (four years, $21MM, including $10.5MM guaranteed). Although the Ravens wanted to keep Juszczyk, their offer wasn’t competitive with the 49ers’, reports Zrebiec. Le’Raven Clark started in just three of eight appearances as a third-round rookie in 2016, but he ended the year as the Colts’ No. 1 right tackle and looks likely to win the job this season, per Kevin Bowen of the team’s website. Joe Reitz and Joe Haeg picked up the bulk of the work at right tackle while Clark was on the bench, but the former has since retired and the latter is primarily a guard. As for Clark, he’s “got enough talent” to be a full-timer, according to Chuck Pagano, though the head coach noted that the 24-year-old must improve as a pass blocker. Pro Football Focus agrees, having assigned Clark an awful pass-blocking grade during his inaugural campaign. We all know how that experiment ended up working. Lewis compiled 622 all-purpose yards and four touchdowns in seven games. Today, Reiss decided to highlight some “under-the-radar” OTA participants who could play a significant role on this year’s squad. Among the candidates were cornerback V’Angelo Bentley (who adds versatility via the return game), receiver DeAndre Carter (played on last season’s practice squad), running back D.J. 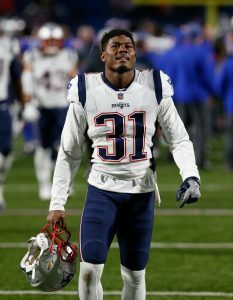 Foster (undrafted free agent received personal phone called from Bill Belichick to join team), and cornerback Jonathan Jones (most guaranteed money among undrafted players). We have conflicting reports as to whether Brandon Marshall‘s absence from Jets OTAs is related to the team’s contract talks (or lack thereof) with Ryan Fitzpatrick. One source tells Jason Cole of Bleacher Report (on Twitter) that there is “no story” with regards to Marshall not being in practice with his teammates. Eric Decker, however, is reportedly staying home to make a statement about his feelings on the Fitzpatrick situation. Dolphins linebacker Koa Misi was detained (but not arrested) by police following a fight outside a Fort Lauderdale nightclub on Sunday morning, according to a police report obtained by the Miami Sun-Sentinel. The report also indicated that the 29-year-old attempted to “flee a police officer” following the altercation. Misi could be in line for a team suspension, and it’s notable that the organization disciplined former defensive end Derrick Shelby following a fight outside the same club.